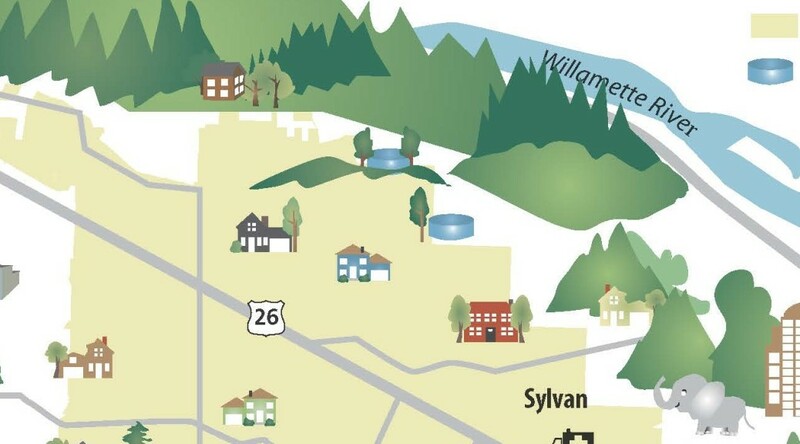 The District’s portfolio of drinking water sources already includes the Tualatin/Trask watersheds, water purchased from Portland’s Bull Run supply, and an aquifer storage and recovery (ASR) well. All of these supplies will continue to supply water for the foreseeable future. How did TVWD arrive at this decision? Developing a source of reliable drinking water for the future required identifying and carefully evaluating a variety of water supply options for today’s needs and the long-term (30 years and beyond). Additional options explored for long-term development included increased storage at Hagg Lake, groundwater wells along the Columbia River near Scappoose, the mid-Willamette River at Wilsonville, and purchasing more water from Portland. These options were shared with customers at a number of community briefings, and customer input was considered in decisions by the TVWD Board. At the August 21, 2013 meeting, the TVWD Board of Commissioners adopted Ordinance 01-13 (PDF), which directs TVWD staff to move forward on developing the mid-Willamette water supply option because it provides for high quality tap water at a lower cost, with less implementation risk than the other viable alternatives. Once the mid-Willamette supply is online, TVWD will receive water from three quality water sources. TVWD provides quality water to more than 200,000 people in part of unincorporated Washington County and portions of the Cities of Beaverton, Hillsboro and Tigard. Learn more at www.tvwd.org.